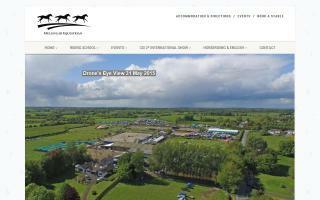 Ireland Horse Directory - Page 5 - O Horse! 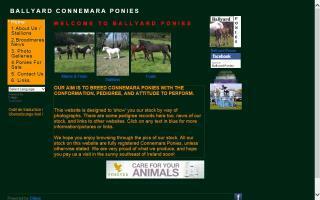 Buy Lishmar Connemara Ponies from Ireland. 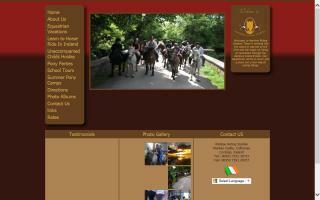 Experience Ireland: Enjoy Irish hunting with your choice of several packs, including The Galway Blazers. Our horses are safe, steady, and all talented hunters ready to give you the experience of a lifetime. We cater to all riding levels and will provide pre-hunt cross-country instruction for individuals or groups. Want a quality painting of you and your horse? 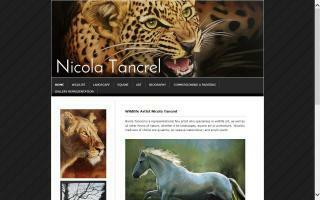 Nicola Tancrel is a professional equine, landscape, and portrait artist. She is an established artist who has exhibited in numerous exhibitions internationally and is currently based in Ireland. For more information, please visit Nicola Tancrel's website. Quality organic round bales of hay for sale - saved without rain. 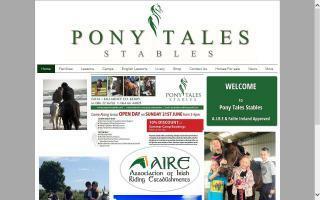 Pony Tales Stables is located within 7 miles from Killarney. The stables are set on 15 acres and comprise of 8 stables (8 more currently under construction), a floodlit sand arena, and a sand turn out paddock. We offer DIY and full livery. We provide riding lessons for all ages and abilities. We organise treks from 1 hour to 4 hours. We have a full horse transport service. 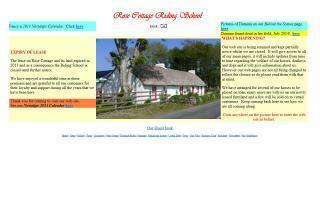 An interesting Irish horsey web site on which there is a lot about horse riding in Ireland and an unusual section describing life behind the scenes at Rose Cottage Riding School in Malin. Breeders of Connemara Ponies. Standing 2 or 3 stallions; over 15 Grade 1 broodmares. Youngstock for sale; most sold under 4 years old. Convenient to all main roads in the Southeast; Shannon, Cork, and Waterford Airports; and Rosslare Port.